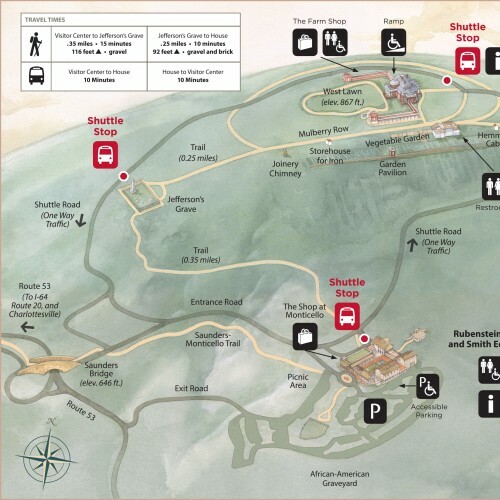 April 14-28 and on selected weekends in July, August and September. * Times vary. Fans of the hit, Hamilton: An American Musical will not want to miss their “shot” to attend this experience. Thanks to this Broadway success, Alexander Hamilton’s historical star seems to be rising up. Jefferson and Hamilton’s dueling visions for the future of the United States have reverberated throughout the course of our nation's history. 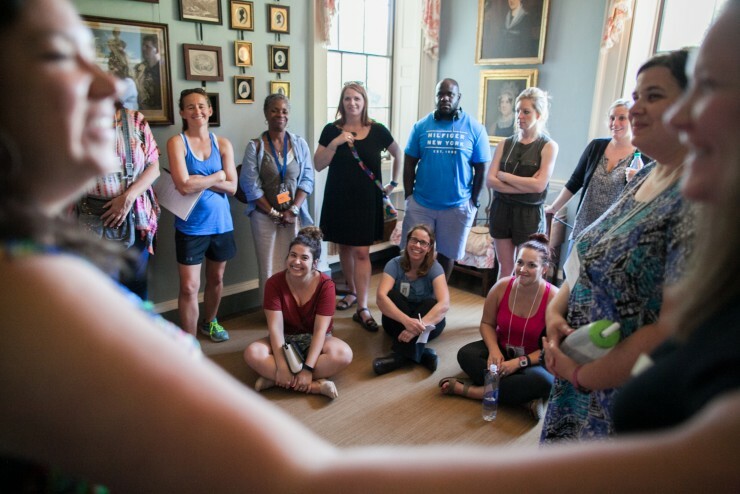 During this 90-minute participatory tour, guests explore Monticello while considering the monumental clash of ideas at the heart of our nation's founding. *Offered daily at 2 pm, April 14-28 (except April 19 & 20). Offered at various times on selected Fridays, Saturdays, and Sundays in July, August and September. Bitter rivalries, character assassinations, an electoral deadlock and a tie-breaking vote in the House of Representatives — experience it all in this engaging, 90 minute tour. But there's more to see! Monticello is a big, beautiful, thought-provoking place. Leave time to explore it. Most guests spend about 3.5 hours. 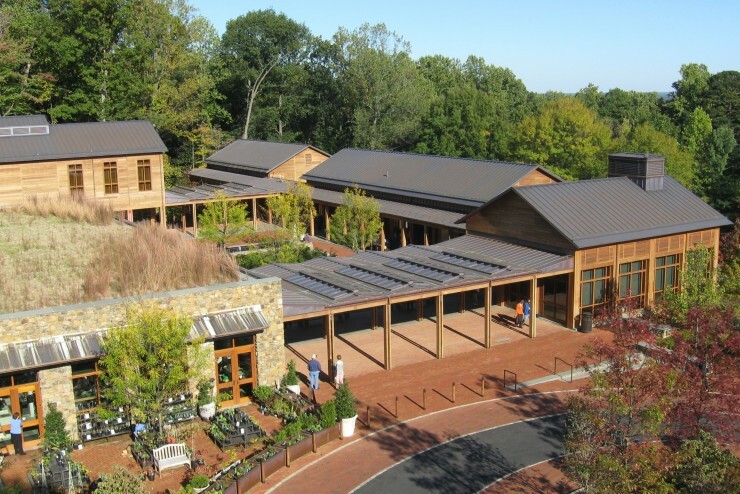 A visit starts at the David M. Rubenstein Visitor Center where you'll find exhibits on Jefferson and Monticello, an introductory film, a hands-on discovery room, and food and shopping. 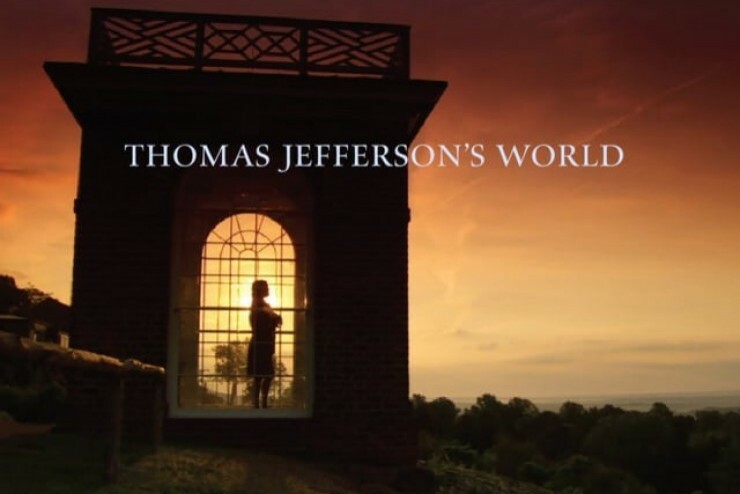 Our visually-rich introductory film plays continuously at our visitor center and describes Monticello’s central importance to Jefferson’s life and work, his consequential accomplishments and core ideas about human liberty, and explores Jefferson’s paradox as a slave owner. 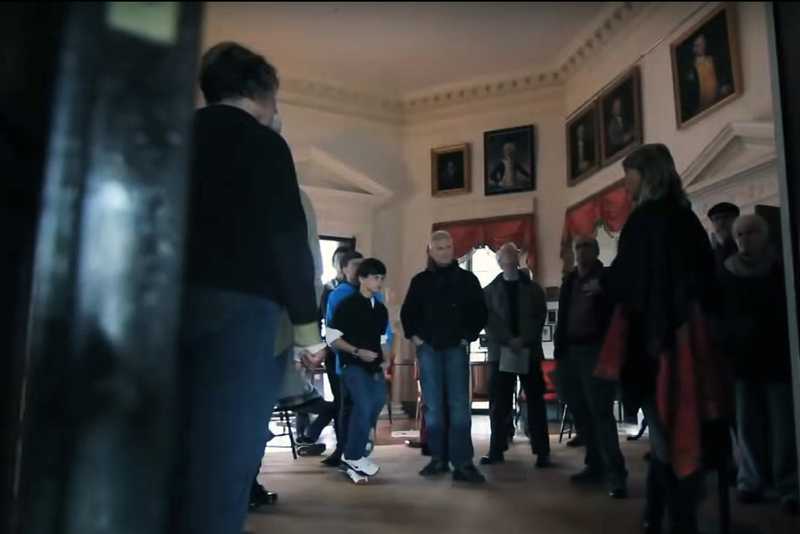 Tour Monticello Video - Tours of the main house are a highlight of any visit to Monticello. But there’s much more to experience. 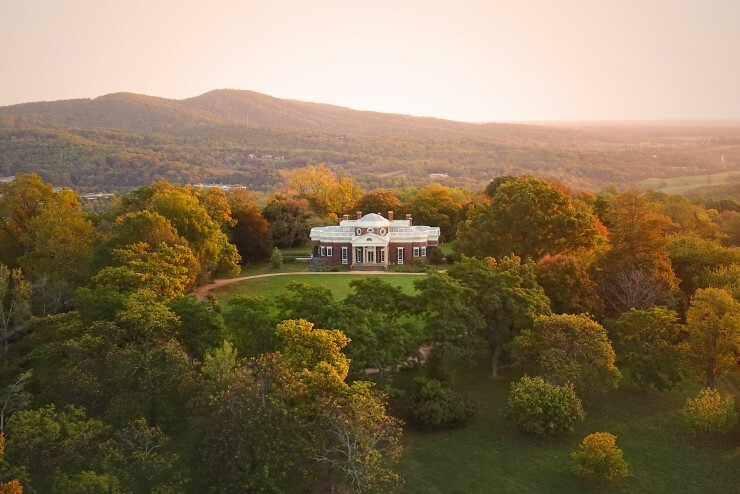 Explore the Wings of the House, including Monticello’s kitchens, cellars, and slave dwellings. 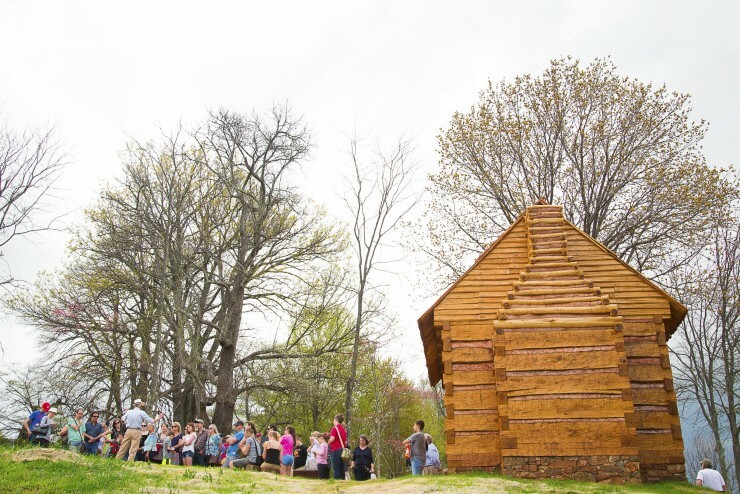 Here you will also find exhibits on the life of Sally Hemings and the Getting Word oral history project featuring descendants of Monticello’s enslaved community. Explore Mulberry Row, where many enslaved individuals lived and worked, or take a guided Slavery at Monticello Tour (included with admission). 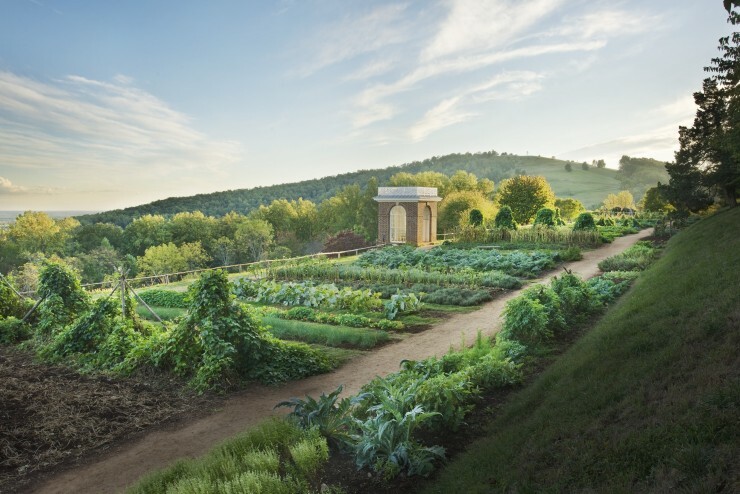 Enjoy Monticello's gardens on your own, or take one of our seasonal, guided Gardens and Grounds Tours (included with admission). 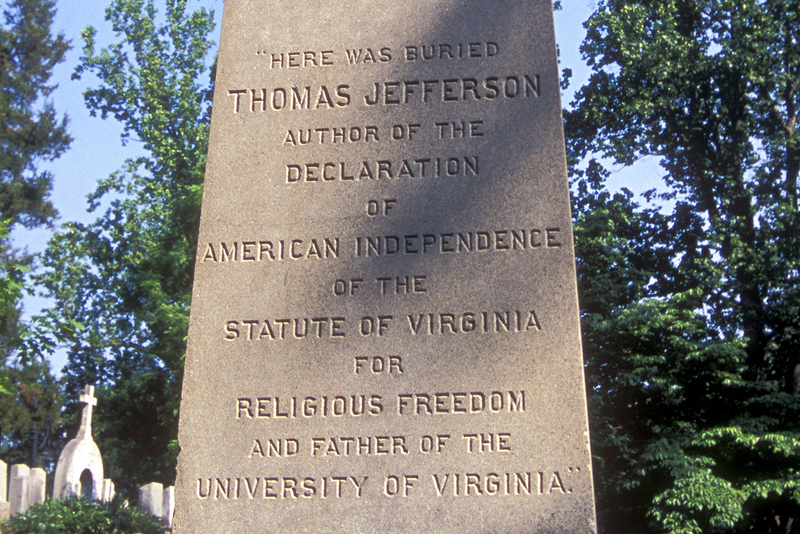 Visit Jefferson's gravestone at the Monticello Cemetery. 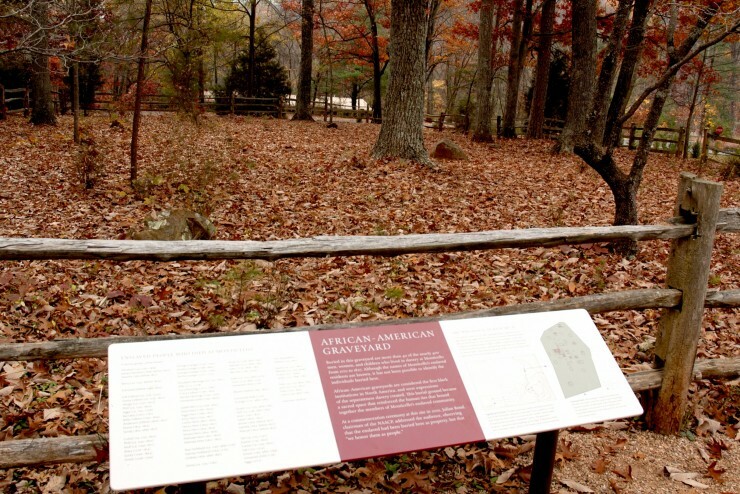 Visit the African American burial ground, a final resting place for more than forty of Monticello’s enslaved community. Jefferson enslaved more than four hundred African Americans at Monticello. Look for one-of-a-kind gifts at our Shops. 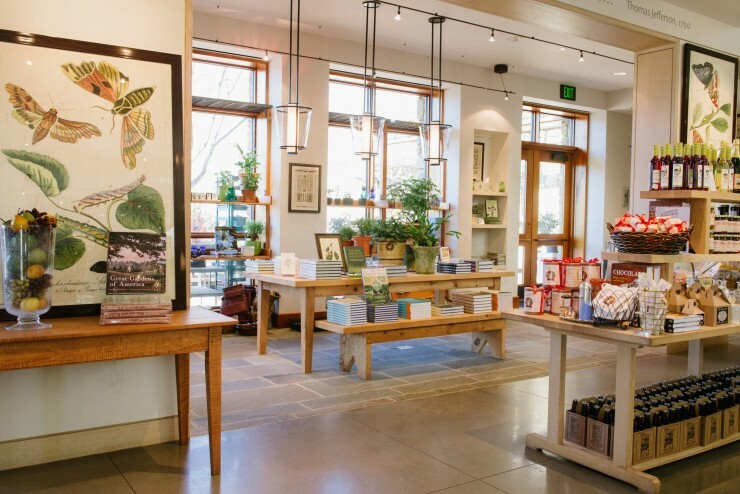 The main Shop is in our visitor center, and there's a Farm Shop in the House's North Wing. 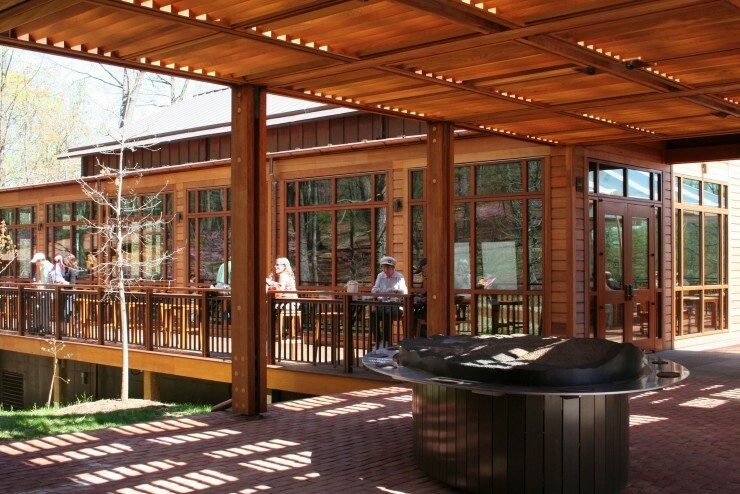 Refuel at our Farm Table café at our visitor center. 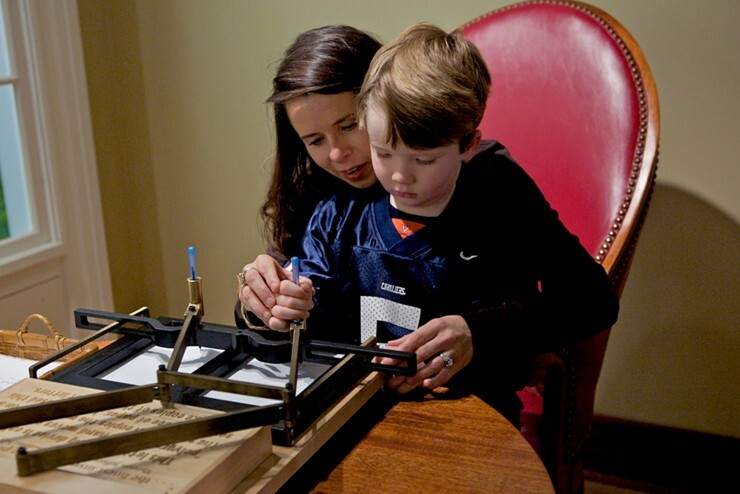 Visit the Griffin Discovery Room in the visitor center with your kids and look for the seasonal Mountaintop Activity Center next to the House's North Wing. 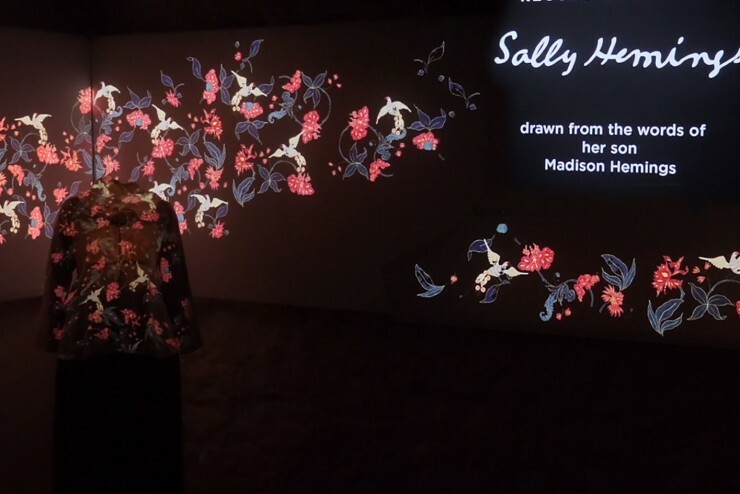 A Dozen Exhibits Around the House Including, "The Life of Sally Hemings"
Are you a fan of Hamilton the Musical? 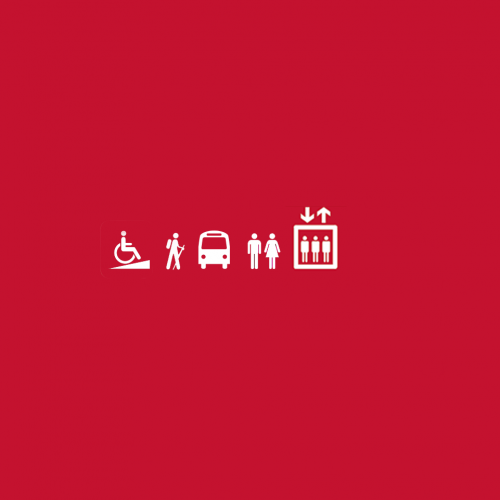 Interested in learning more about the history behind it?